Michael Thomson Walton, who built Utahs first mikveh in the greenhouse in his backyard, passed away Aug. 23, 2013, in Salt Lake City, Utah. Services were held Aug. 25 at Evans and Early Mortuary, followed by a private interment. Evans and Early made the arrangements. His wit and loving care will be greatly missed, the family said. Mr. Walton was born Feb. 13, 1945, to George Snarr and Mary Thomson Walton. He graduated Granite High School in 1963. He earned his BA and MA from the University of Utah and his PhD from the University of Chicago. Mr. Walton was the president of Walton Marine in South Salt Lake. He married Patricia Denslow in 1968. They later divorced. Mr. Walton married Phyllis Johnson Liddell in 1985. 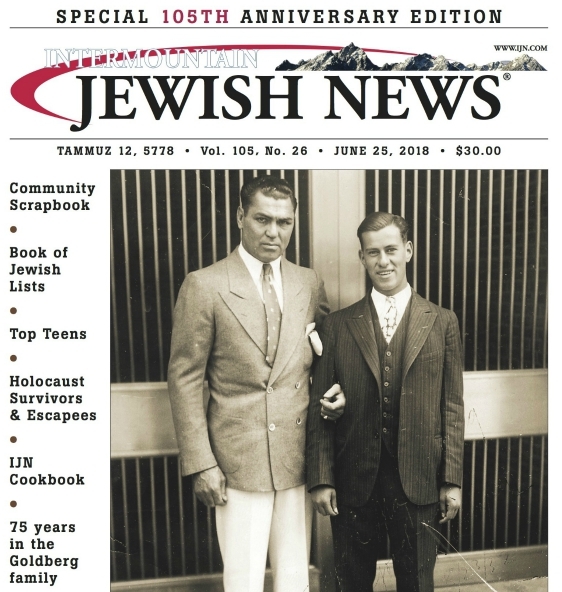 President of the Beit Midrash of Salt Lake, Mr. Walton wrote many books and articles on the history of science and medicine, Jewish history and Mormon history. Mr. Walton is survived by his wife Phyllis; children Michael Adam Walton (Monica Perez-Walton), Nathan Walton, Judith (Jon) Danaceau, Sarah (Aaron) Sanders and Kathryn Keziah Aaliyah; and grandchildren Samuel and Zachary Danaceau, Noah, Isabella and Maya Sanders, and Hana Decker. He was predeceased by his daughter Rachel. Contributions may be made to the Utah Food Bank, 3150 S. 900, West Salt Lake City, UT 84119.